Your gift will make an IMPACT on our campus and on your TAX RETURN. Your support of higher education is so important that the State of Indiana will pay you for it. It’s right there on Form CC40; you tell them how much you gave and they will give you half of it back (up to $100 if you are filing singly; $200 if you’re filing jointly). It’s better than a deduction: it’s a credit that reduces the tax you owe. And don’t forget the federal deduction, if you itemize. It’s all money back in your pocket. Why is faculty and staff giving so important to IU South Bend? How is the Campus Campaign different from other fundraising efforts on campus? Campus Campaign contributions are used internally for IU South Bend’s individual programs, projects, scholarships and endowments. Campus Campaign donors choose where they want their gifts to be used according to their interests within our university. When will faculty and staff be asked to make a gift? While gifts from faculty and staff are welcome throughout the year, the Campus Campaign focuses its efforts from February 14, 2018 through March 21, 2018. Before the campaign starts, you will receive a gift form. The gift form will include a list of all of the funds on our campus to which you may designate your gift. May I designate my gifts to a particular area of the university? 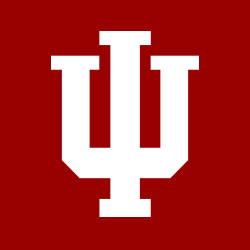 Your gift may be designated to any existing IU South Bend fund held at the IU Foundation. If you wish to start a new fund, please contact Dina Harris at 520-4131 or diharris@iusb.edu. Do all of my funds that I donate stay on our campus? 100% of your donation stays on our campus and is placed in the fund(s) that you designate. Each gift made by an employee is kept confidential. Individual gift amounts are not shared with your manager or dean. Development staff handles your giving information confidentially. You may choose to have your gift be anonymous. Just check the box on the employee gift form that states you would like your gift to be anonymous. Have a question that you do not see here? Contact us at 520-4131.